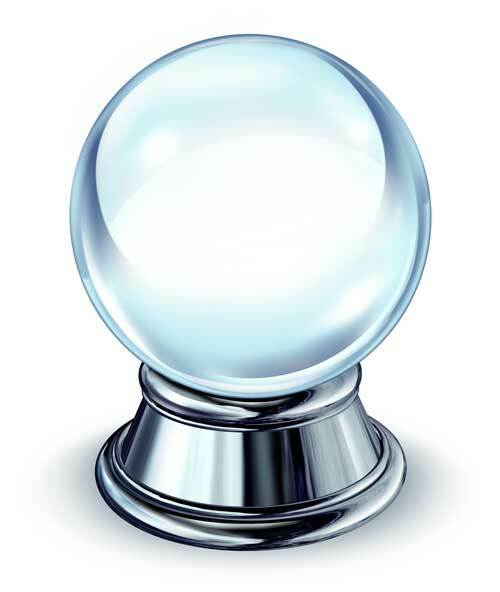 On January 2, of this year, I posted a list of predictions for the coming year and beyond. It seems like a good time (end of the first quarter) to see how we’re doing. I’ve updated some of them in italics. Stock prices will drop more than 30 percent in 2017. There will be much more to come in 2018, or course. I’m expecting the bottom in 2021/2. We should eventually drop 90%. My prediction for a top has shifted to the fall (Sept/Oct) due to my analysis of the market. I don’t know if we’ll hit a 30% drop this year, but if not, it should be in the first part of 2018. Real estate values will drop at least 25 percent in 2017. We should see the top of the latest bubble early in the first quarter of the year. I expect real estate to drop to about 20% of its value at the height. This has already happened in Vancouver. I should have been more specific as to market when I made this prediction. This will more likely slide into the 2018 year for a drop of this magnitude universally. States, provinces, cities, and countries will default on bonds. We’ve already seen the start. There’s much more to come this year. Puerto Rico has already defaulted. Venezuela is close. Who’s next? In the US, we’re seeing states and cities of the verge of bond defaults (and pension fund defaults). At least one major European country will default. Who’s first-Italy? It’s a bit of a horse race. The euro will also come to an end in the next couple of years, with additional European countries reverting back to their own currencies. Spain, Italy, Portugal, and Greece are the obvious contenders. The Federal Reserve will be abolished or nationalized. This projection may not come to fruition this year, but the process will begin and eventually it will be dissolved one way or another. In Canada, we have an active law suit one step away from the Supreme Court, that if successful, will force the national government to return to using our own public central bank (The Bank of Canada) to create our money, as we did before 1974. The calls for an audit of the Fed are growing louder. There’s a bill set to go before Congress. In Canada this month, a previous Minister of Defence has written an open letter to the current Minister of Finance confronting him with the issue. Deflation will start its spiral. Where I live, in Calgary, Alberta, where we’ve been hit so hard by the drop in oil, we’re already seeing signs of deflation. You don’t have to be very sensitive to this phenomenon to notice the extraordinary mark-downs in products and services in countries all over the world. There have been stories about the price of food getting much less expensive. Commodities continue to crash. However, consumers have not yet put the dots together. When the US dollar hits bottom (Sept/Oct?) will should see another rise in delation. Governments will restrict trade. We’re starting to see free trade agreements falter. There will be no new ones signed and, in fact, we’re likely to see the end of NAFTA. Also look for tariffs to be put in place by the Trump administration, the start of an all-out trade war. This is in the implementation stage. Numerous new buildings will remain unfinished in the midst of construction. These cycles tops always see a plethora of buildings being erected. In fact, you can predict a top when you see buildings reach new heights, as we’ve see in places like Dubai. Commercial real estate is going to be hit particularly hard this year (look out Trump International!). There are stories coming out about plans for the tallest building in the world in New York—a sure sign of a market top. More populist leaders will come into power. European countries will continue the trend. I expect to see Angel Merkel say good-by to public life this year. France is the next logical entry into the populist leader category—the election is scheduled for April 23. The President’s and Prime Minister’s (Canada) popularity will drop substantially. Both will be heavily side-lined by the devastating drop in the stock markets of both countries. We’re seeing this happen gradually in Canada. This weekend, it’s reported that Trump’s popularity is at record low levels. I expect the drop to continue. US will devolve into a civil war (likely not ’til 2018). The Soros camp is hard at work in the aftermath of the election stirring up trouble. Hillary Clinton’s astrological chart shows an inclination for revenge, which won’t be much of a surprise for most of us. The United Nations will start to become defunded (eventually will cease to exist). President-elect Donald Trump is none too happy with the performance of the UN. Neither is Rodrigo Duterte of the Philippines. And then there’s Bibi Netanyahu … Look for more leaders to start to question its existence this year. Note that they were also the instigators of the Climate Change scam. We may see a major reversal on that front this year, as well. Some international travel will be restricted. I expect to see a lot more danger areas spring up around the world. This turn down of this major cycle puts an end to international wars, but internal civil wars will continue to crop up, making travel much more difficult. Airlines will also start to default this year and prices for air travel will begin to rise. We can see this already in the travel bans put in place in the US. I would expect other countries to follow to a lesser degree. Homelessness will increase. That goes without saying, but it will become an overwhelming problem over the next couple of years. The shift to alternative news sources will pick up steam (more newspaper bankruptcies). Fake news is the latest salvo in that regard. Now we have Donald Trump completely side-stepping mainstream media with his tweets. The major news networks in the US now have more minutes of advertising in their half hour nightly new programs than they have news time. Television news has become info-tainment and there is very little, if any, investigative reporting any more. We’ll start to see viewers turn away from these sources and get more of their news from alternative sources online. Look for at least one major news outlet to go bankrupt. Marijuana will continue to be legalized. Canada should see legalization in 2017. More states in the US will go legal. We’ve known this for years. Governments need the money. Canada announced this month that the legislation will be national, but they’ve moved the start date for full legalization back to spring, 2018. Major violence will increase in the US and murders will rise. Unfortunately, 2016 was the tip of the iceberg. We’ve seen the numbers in Chicago. My feeling is that the numbers will continues to spiral up nationally. Horror films will rule the box office. Dark entertainment will start to pop up and make money across multiple genre. Major sports teams till fold. The incongruity is that major sports facilities continue to be built. We’ll see some of the newer ones remain empty. The suicide rate will increase. We’ve seen our suicide rate in Calgary increase by 30% over the past year. Twenty percent of the office space in our downtown core is now empty. Most of the affected are younger—people who have never learned to fail. This, to me, is perhaps the most difficult aspect of the coming downturn. Above is the daily chart of ES (click to enlarge). The larger wave 4 has been confirmed. In fact, if you were to look around all the major indices (AEX, DAX, TSX …) you’ll find them in a similar position, having completed the first part of a fourth wave. 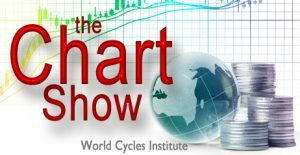 As I have said over and over, the coming crash is a world-wide phenomenon and all assets are moving towards a final top, which they will reach together. The final “show” (the breathtaking drop) I’m projecting later this year will be one for the record-books. There truly will be no place to hide when this worldwide market tops. In terms of the chart above, we’ve completed the A wave down (a flat) and the B wave up to the 62% retrace level from the very top. On Friday, as I’d projected, we turned down in the C wave of the 4th wave. The C wave may end up being a combination itself, the highest probability being a zigzag, but there’s an option of a much more complicated wave. I’m expecting the 4th wave overall to be sharp and deep, based on the rule of alternation, which states that if the second wave (going back to October, 2016) is shallow, the fourth wave will be sharp and deep, and vice versa. The second wave was indeed shallow, moving mostly sideways, over an extended period of time. The third wave took about 2.5 months to complete, so we need a longer 4th wave, with a deeper trench in response. The A wave took about three weeks from top to bottom, so I would expect a similar timeframe for the C wave, which will likely be 1.618 X the length of the A wave, bringing my most likely target to 2235. If the C wave ends up the same length as the A wave, it will only come down to 2285. Note that the 38% retracement level, which is a level a fourth wave typically reaches, is at 2256. The larger pattern we’re in is a set of corrective waves. The third wave was a triple three, (these are not motive waves). That means that there are no hard rules for the retracement of this fourth wave. It makes this market much more difficult to analyze, but so far, we seem to be going well. Summary: We’re at the top of the B wave of an ABC 4th wave correction. The C wave down will most likely be 1.618 times the length of the A wave down. That provides a preliminary target of 2235. After completing the larger fourth wave, we’ll have one more wave to go, which could be an ending diagonal as a fifth wave. The long awaited bear market is getting closer. Above is the 60 minute chart of ES (click to enlarge). This past week, the market finished the A wave down (a large flat) and then rose again in a very corrective-looking wave to almost exactly the 62% level (missed it by one point). CAUTION: We look to have turned (there’s still a reasonable chance we could still rise another 9 points of so, but with the ending diagonal at the to of the B wave, that’s weights the probability to the downside). On Friday, at the end of the day, both the SPX and ES indices broached the rising trendline (shown above). That should be a good first step in confirming the continuation of the 4th wave down. This weekend, someone made the comment that there was no reason for the ES index to stop rising from here. I commented that my analysis indicates just the opposite. I’ve decided to open up my Elliott wave decision-making process so you can see what I look at in making a decision as to market direction at potential, important inflection points. Optimism is at record levels at the moment, which suggests that the direction will be down to alleviate this bullish imbalance. NQ/NDX may need one more small wave up to top properly. I’m looking for a continuation down on Sunday (past the previous fourth at ~2349 to help confirm the downturn). 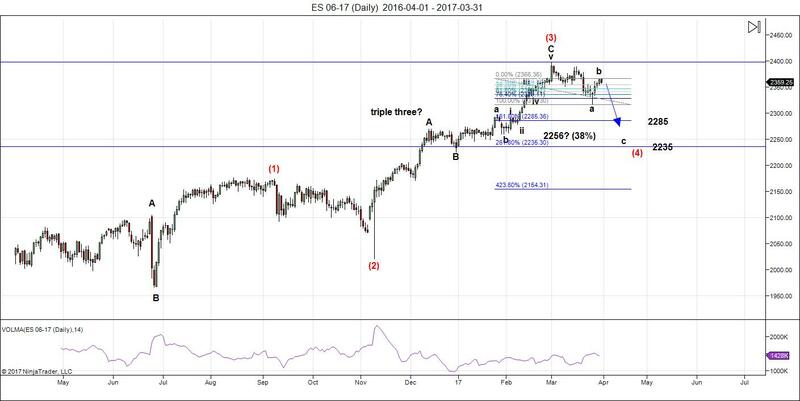 Failure to breach this level would suggest that ES will return to a new high and may top out in the 2367 area. However, the wave up is still corrective and the eventual direction should be down. 2375+- ES and 517,50 or 521+- AEX and turn down into mid April (AEX 490-495???) gogogo! A very thought provoking update! Very much appreciated! Thanks for the chart and notes Peter. I get the impression from your notes that you think this fourth wave will something other than a flat or zig zag. The reason I say this is that both structures would display a five wave structure for the C wave but your notes indicate we may get something different for the C wave. Did I miss something in the analysis? We’ve already had a flat, so I’m not expecting another one (not that it’s not possible). I’d lean towards a zigzag. Thanks for the excellent update. Though all analysts are marking the move of the trump rally as 1 2 3 4 5 , they look like set of triple threes and no way impulsive !!! Just as you had earlier mentioned. All waves and their subwaves look like triples threes!! I find the 90% fall in the indices too difficult to believe. I am expecting an SPX target of 2320 for my short positions. Gann has some insightful data on how the first decline after a run-away leg higher unfolds, which is clearly what we have. I don’t think we can entirely dismiss the possibility of a top having been made with this last dash up to the 2410 area. Gann said if the top is in, the initial decline will be 15-20%. If we have one more high it will be 10% or less. It is sure starting to look like she has been selected to be thrown under the bus. They also trotted her out to issue all the lying propaganda about what happened in Benghazi. She may be loyal, but not very bright. Unmasking Americans is very serious business that only very senior officials can authorize. The hubris is stunning. Their problem is they were confident that the lawlessness of the Obama administration would never be uncovered. Unfortunately for them, Hillary lost. I have to say I am truly surprised by some bullish counts I am seeing from good analysts who think SPX is starting a third impulsive wave up. Everything I see in this market screams “extreme”, and it has been that way for some time. Whether it is the absolutely historic suppression of VIX (traded below 11.50 for the longest time in history), the complete disconnect of so many charts from moving averages normally regularly tagged, the number of stocks trading BELOW 50 dma in indices nonetheless notching new highs….etc. etc. We are seeing a market completely divorced from any semblance of reality, and yet it stubbornly refuses to experience even a mild correction. Who are the lemmings buying these dips I wonder? We had yet another torturous move of an impulsive wave down this morning that was almost entirely re-traced. I have literally never seen anything as crazy as I have seen in the markets these last several weeks. I think it will end badly….the problem is none of us knows exactly when….! Who is buying these dips ? I certainly will be buying the next dip, 3 – 5 % by April 20th. My long term account is only 40 % long. My short term trading account is 55% short at the moment from today. Will be fully short by the end of tuesday. All the best every one. Please note, I will take my trade off quickly off if it goes against me on my trading account. Verne, I appreciate your posts! Mahendra Sharma in his website claims to have predicted the 2000 and 2008 crashes. He also claimed to have predicted the start of bull run in 2009 and no one believed him. Is it true? Now he is predicting the start of bear market on April 8 2017. He had earlier predicted Feb 15 but that did not happen. HEAD’S UP THIS MORNING. It’s about 5am EST and I’m looking at the pullback so far. I don’t like it. I think we’re going up from here and in fact, there’s a chance we could be entering the fifth wave in the US indices. In my write up, I mentioned that we may be heading up to the 2376 area and this may be the case. There’s also the option that what we have may be all of wave 4, as I also mentioned. I’m in a “wait and see” situation now. Let’s see what happens at the open. I placed a chart at the top of the post showing my concern. The absence of downside momentum in my view argues strongly against a final top and suggests we are seeing a corretion against the larger upward trend. Trend followers are still holding record net long positions so Mr. Market will likely have to shake out a few more ahead of the final wave up. When the bear market arrives, you will see none of the nonesense we saw yesterday with the banksters successfully buying the market off the day”s low. We will all know it has arrived. Great chart DWL. Add to this the turn of Saturn to retrograde completing on 4-6 and we have a ceiling in place for equities, imo. EW theory postulates that the waves follow human emotions and not the other way around. How does the increased presence of trading algorithms affect this postulate? Remember the flash crash? That took place in the middle of wildly bullish sentiment and was not at all anticipated based on sentiment. Here is another interesting consideration. We know that market participants constitute a subset of the larger human population. The economy will show weakness due to deteriorating social mood while the market continues to surge higher due to continued optimism on the part of its participants. As a matter of fact, the market, contrary to the popular notion of being forward looking, will often top AFTER the economy has already fallen into recession. The conundrum of sentiment and the waves is further complicated by the fact that it is not at all uncommon to see sentiment extreme exceed that of a top wave during the second wave bounce at the onset of a new bear market. It seems reasonable to conclude therefore that trader sentiment, as a subset, probably lags that of the population at large. It further seems to me that EW has no provision for a catastrophic breakdown of trading machines, which now comprise a substantial portion of daily trading volume. Are we making a dangerous assumption of seeing an orderly topping process to conclude the current bull market, considering the attendant variables that were absent in prior bull runs? Just thinking out loud and contrary viewpoints welcome! I anticipated the flash crash based in EW, just didn’t know it would be as deep. Algorithms don’t affect the wave structure. I’m not seeing anything outwardly unusual. I don’t understand the market as being forward-looking. It mirrors sentiment, as you say; it’s real-time. We are already in a deflationary environment and have been for quite some time. It hasn’t necessarily dampened sentiment. Hopium is quite a powerful drug. A breakdown of machines somewhere shouldn’t affect worldwide sentiment, just like 9/11 didn’t affect the market direction. You can go back to the 1700s and find the waves performed just the way they do today, without “machines.” Or the 1500s, for that matter. Let me just add that Elliott waves are simply price cycles. Cycles come from the planets, primarily. Fibonacci ratios certainly do. So the only thing that’s really going to have a whole bunch of effect on the market (going out-of-sync, for example) is if one of those giant orbs broke loose from its orbit and just decided to eek out a new orbit. That would likely make a mess of EW (the way I know it). We know electromagnetic waves influence human psyche. We know they come from the planets (and Moon and Sun). I’m always hearing that cycles are going to stop working (EW) but logically, I can’t see it, unless the Universe decides to do something completely different, for a change. Makes perfect sense. I guess we need to keep our eyes on the larger sources of causation! Do the banksters hell-bent of propping up this market in perpetuity know this??!! LOL! Ah … the fact that they don’t is what I like to think of as the world’s saviour. The weekly MacD and Slow Stochastics look petty definitive right now. Good morning! I’ve removed my caution chart from the top of the post and I’m back to very bearish. So my original post stands. I think I covered it off fairly completely in the blog post. I don’t know what more to add. A whole bunch of corrective waves up. Thanks Rotrot, that is very heavy duty reading. I will need to re read it a gain this coming weekend. I’ve added a video at the top of the post called “Timing the Top” that reviews the dollar, euro, and one major index in terms of potential timing for the final market top. Thanks for the update Peter. It is great to have a bird’s eye view. Some of the best analysts I know, yourself included, are starting to arrive at that same time period and what is fascinating is they do so by different routes….very interesting! Just there is no direct correlation between USD and US market. As you can see USD has toped the 3rd of January and the market has bottomed the 4th of November and toped the 1st of March. So, USD has toped just in the middle of 5th of the 3rd. I continue to be amazed that no one seems to see the similarity between the dollar and SP500 charts. I posted similar charts about a year and a half ago. Oh, well, it’s just me, then. I don’t see any correlation between USD and SP500 in these charts except that they both begin down at the left and finish high at the right and have some dips in the middle. Their highs and dips mostly don’t coincide if you look more closely. therefore, if the dollar bottoms on or about 09/03/2017 does the SPX necessarily top then? I shall return to my box. I actually never said there was a direct correlation …. ever. I was just pointing out the similarity. The “direct correlation” was someone else’s words. It happens because the currency and the stocks are driven by different sets of factors. The currency is influenced mostly by a carry trade which may go in stocks or in bonds. It should be much more difficult to manipulate the currency than the stocks. Dimitri is right on the money about currencies and the carry trade. If you take a look at price action in the Yen for example, it is almost uncanny how ramps in SXP is mirrored by its move down. This is really inside baseball for folk who don’t understand how closely correlated these disparate markets are. In my view one ignores this fact at one’s own peril! Could it be that the energy chart is one day off? Looks like we saw the low on Monday instead of Tuesday and we are topping right here? I would also like to recieve your post if possible? If correct we should visit 2370/78 again today? Dec. 7, 2015, GMCR gapped up pre-mk due to JAB announcing its intention to acquire the company for $92. Approximately 30 trading days later market hits a low on 1/20/16. April 4, 2017 PNRA gapped up after hours when JAB announced its bid for PNRA. 30 trading days is around 5/17/17. Maybe JAB’s acquistion announcement is a warning of future deep market retrace? Weekly SPX MacD should give us the bearish cross over next week. Poor hapless bulls that jumped on that ridiculous head fake this morning. C or third wave, I suspect it is going a lot lower than most expect. Do to being in and time all day, I only managed to get 37 % to be 92 % short in my short term trading account. Hoping for a bounce up in the morning to get the other 8 % to be full y short into the April 20th I will exit my trade if we surpass 2375 sp Good luck every one. Great call!!! You were saying this last night! I appreciate your posts! I was wondering if you were familiar with the work of Peter Goodburn at Wavetrack International. I just started doing some research of his predictions and it seems that he’s had a major revision to his wave counts during the last 4 years. 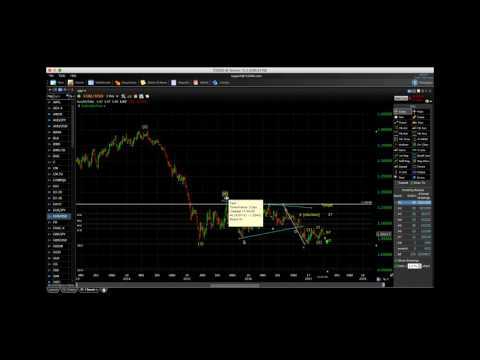 In 2013, he proposed a crash scenario very similar to what you are proposing… https://www.youtube.com/watch?v=oGIweAlRPlc. In a recent Tradersworld article (http://tradersworld.com/issue65.pdf, pg. 24), his wave count looks totally different and he’s now proposing that the S&P is still in wave 3 with an upward target of 4397 in the year 2020. I don’t look at other people’s work in order to stay totally objective. I’ve heard of some really weird counts. I look at the market as a whole. I posted a video today at the top of the post regarding my projection for the top. We have one more wave to go of a zigzag, so the top isn’t far off. Prechter once said the 69 week cycle was the most reliable he knew. When the number of trading hours per day changed from 6 to 6.5 the 69 week cycle was gone and the 64 week cycle was born. (8% adjustment). As 64 is a squared number this should be a strong cycle. I m amazed by your creativity with numbers so 10/4 should be the last countertrend top? There will be other tops after this around the end of april and the end of May. But next weekend will be very significant so I doubt there will be new all time highs. Next week is down; that is certain. and I believe we will be down into the end of june. Has anyone measured where this C wave down equals wave A? He has given it last Sunday. Thanks. He did a great job in projecting targets at the chart show today so I got updated! spx has now gone positive/negative intraday for 16 straight days, longest streak since July 2008. I would like to see 2350 break before the end of the day..
Maybe.. I am thinking tomorrow possibly, but who knows with this crazy market.. I hope you are right Jody for tomorrow. I generally do like to trade in a short position on a Friday going into a weekend. I have seen to much hanky panky ( manipulation) with the big boys keeping the markets relatively stable going into a weekend. I meant to say, I do NOT like to be short going into the weekend. That’s what happened last the 5th of April. But the algos systematically buy all the dips overnight whatever happens. Hi Peter, I faithfully read your post each week and am trying to correlate the timing of an economic collapse with my grain marketing for our current wheat, corn & soy crop that is hopefully to be planted in the next few weeks in Ontario. As my grain is priced in part with the Chicago futures & the US dollar adjustment on our basis side I have a couple of issues to contend with in terms of timing. You have indicated in previous posts that the grain futures have traded at all time lows in the last depression and I am assuming as I watch for the top in your other charts that grains will likely move in tandem to a high in Sep/Oct/17. Am I understanding you correctly then that you expect the US $ to bottom during this same time period? Obviously this would be an awesome situation for locking in a stronger Canadian basis with strong futures. I really appreciate any insight you or any of your traders may have on this topic. I have said before I believe the real high was 1/2, simply based on 1942 and onjunct the 10/4/2011 low. So why haven’t we gone down? Another square of nine messes things up. The credit bubble was born 8/15/1971, The square of nine shows 5/11 is at 0 degrees or conjunct this date. I said before I expect a high around 5/11. Now for the interesting part. 4/9 is the midpoint between 2/1 and 5/11. The general rule is that when the market doesn’t turn at the beginning of a cycle, it looks for a midpoint. 4/9 is the midpoint. This is just on day from the 4/10 date above. Delta confirms as 1440 degrees, 1 metonic year and 4 metonic years all give a high 4/10. Carolans 717 moons gives a high 4/9. My warcycle (based on Dewey). Gives one cycle from 4/9 into 5/5. The 17 year cycle using torque gives a high 4/10, a low 5/3 and a high 5/8; close. The 17 year cycle also tells us 6/30 will be a low. Mastertiming on 8/71 gives 4/8 at 90 degrees. The HC Jupiter/Uranus cycle travelled 45 degrees from 5/20/15 into this weekend. Mastertiming 2000 gives 4/8. Mastertiming 2007 gives 4/11. Mastertiming 1966 gives 4/12. Mastertiming 2011 4/9. So it really looks like something is brewing. 180 degrees in mastertiming 2007 gives 5/3. And that is a date in the sqr9 on the creditbubble. I expect the low around this date. Maybe some more this weekend. Great work Andre. I personally have May 2nd as a low before the markets blast off to the upside to May 25th. My confirmation will be, if we do see a low for April 20th. Good luck to you. Gold and silver are both down big time. Should keep on going, of course, but I’d expect a bounce. How did we do this week? Part of the problem is posting a chart several days before the markets open. Since energy streams are very fluid it’s hard to nail the Monday open several days in advance. It’ like throwing a rubber duck in a river on a Friday and predicting when it will pass you down river on Monday morning @ 9:30. I try my best but it’s hard to do. John noticed I was off by a day this week and he was right. Results for this week posted below. The trend looks good! Tom again kudos, amazing, awesome!!! I think looking at other indicators the big drop will be 10/11 April. The war threat that Rotrot posted could be the big trigger.. I have the following dates Monday April 10/11 after that April 14 (top) April 18/19 bottom and the deepest bottom April 26. Looks good thanks for your energy that you put into it. Amazing Tom, as usual, and great info John, thx. “April 10 – Another tense Full Moon this year occurs on April 10, and that will trigger the Sun-Uranus Conjunction and the Moon-Jupiter Conjunction, and all of that squares brutal Pluto at the focal point of the ongoing T-Square, with a nasty little bundle of Lilith (ruling calamity), Black Moon Lilith (ruling treachery), Comet Lucifer, all conjunct the Vertex in the Fifth House … ruling stock markets, speculations…. Could this be a nasty stock market reversal day? Thank you Tom. I personally have the 13th as a short term bottom with a small up tick into the end of the week. Than we come down into the 20th. We shall see shortly. All the best. Tom, as we get closer to Sunday. Are you able to massage your data into a more accurate replicate of how the market will unfold Vs April 7th ? Thank you Tom, John, Rotrot, Dave for the date targets. Reminder: Markets are closed on Good Friday, April 14. Thanks for the update Liz ,for us Canadians. That would co- inside with my 3- 5 % nicely ,as mentioned in a previous post for a bottom April 20 th. Thanks for the info. If you would unshift the graph; could Wednesday be the low? the end of the Monday’s trading day will be a better time to answer that question. Please remind me again tomorrow if I forget. So I the graph represents no shift, correct? I think it may be prudent to consider the possibility that any shift in the Energy Stream is not fixed, but dynamic depending (perhaps) on whether or not price is ahead of time or not (or something else). If that is the case, looking for little nuances that indicate a shift will be a real challenge as there are shifts forward and back. I meant to add/ask if you had any insight on amount of ‘time’ shift. If the matching of price and time is dynamic, I would anticipate that there is an ebb and flow constraint of a day or two max. 3. Mercury retrograde 4/9 – 5/3. 4. The midpoint of Mercury retrograde, 4/21 (OpEx), coincides with the last date of Venus and Saturn stationary and square. 5. If this scenario pans out, we may see a low on 4/21 and a high on 5/3. With both Venus and mercury retro together . What sector is going nuts or setting up ? On this ) both mercury and Venus will move direct with each other . Is a high of sorts with may 13th – 19th an important low. Hence may 18- to June 30 is my trading window . I’m looking forward to getting home on Monday . By the way it has not really warmed up that much out here on the west coast . Price should jump back above it and not stall . 4/14 is 103 days from jan 1st. 103 aligns with 4/14 in the square of nine. One angle I see is what I call the Bin Laden angle. 9/11 surely was one of the most traumatic days in the history of USA. In my language this is a vibration. When we draw a line (Gann would say ‘angle’) through 7/4/1776 and 9/11/2001 we can see 4/14 is exactly on this line. So I expect a very emotional day. 4/14 is also the midpoint in squared number counting on 2/1. So, 14 is important. 10 is also important. Delta gives a high for Monday as does the 17 year cylce. Tom’s chart confirms. 17 year says 4/14 is a low. But 4/11 could bring an inversion. In that case Tom’s chart is correct. If this is the case this weekend is some kind of third wave with 4/15 (also mercury vibration) a 5th wave (will leave the labeling to Peter). We are headed for a 6/30 low. But what is a few more days in this market? When we turn it will be violent. One other reason why next weekend is so important. 8/21 is a major solar eclipse. Using the square of 9 to count back we see 4/15 is conjunct 8/21. Very likely the market will want to test this date. Thanks all for sharing! I think this site remains the best sharing platform their is right now for the real passionate stockmarketnerds like us! ??? I am not posting that often anymore (learning times overhere with a shift in inportance from the stockmarket to finding God more and more). But to make a long story short: we have seen the targets as posted before (see the first post). However, I suspect a top in the AEX per 11 April (+-1 td deviation) and am still waiting on 521 (which is super significant because it is confirmed by my Jenkins technique and a big fat bearish harmonic bat from 2007 on in the making! Also, my bottom date would be around 20 April, maybe later into the end of April. 490 Would be a normal decline target but let’s see what happens! ? Anyway, I am very bearish for the coming months and wish everyone here all the best!!! Thinking about things I want to make a slight adjustment to the above. Now realize we need to go down in ABC. So I see some movement on Tuesday but I believe Wednesday will be the low before a retrace into 4/14-15. 4/9-10 is really a very significant timing that – if my understanding is correct – could start a Multi week decline. That was also my idea. It would fit perfectly with Pancholi’s dates and Tom energy charts. The AA 11 survey readings are not in the bear camp at this moment. Several other traders, that I have a great deal of respect are all bullish. This blog is certainly turning more Bearish. I always like to be in the minority when placing my trades. I have already shorted from Monday, Wed and the last batch thursday. Many other traders are looking for a fierce rally into the 20th. Could I be wrong this time ? Either way, I have already committed being short. Average 2362 spx I will cut my losses quickly if the market does indeed go the other way on me. I am still looking for April 12th as temp low before giving way into the following week for a low on the 20th. Good luck every one. I meant to say April 13th temp low. Seasonally DOW usually catches a bid until mid July, one of the better times seasonally. (Equityclock.com) has free charts of most sectors seasonals. Monday and Tuesday will probably be rally on DOW due to Full Moon and Trump victory on SC nominee. Wednesday will probably be selling.